Research- Search “moving company reviews” in your area to read the experience of other people with the moving company. If you are moving long-distance, check whether there will be only one team handling your whole move or if the movers will be switched out during your move. It is always a relief to know that only one team will handle your belongings from start to end. This will give you a good idea as to the care that will be taken with your possessions – if one team is held responsible throughout the entire move, the will treat your possessions like their own. 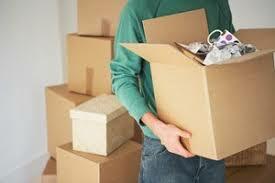 Review- In choosing long distance movers chicago, the website of the company can do wonders for your decision. Upon looking up the website, review each and every part of the company’s site. How long has the company been in the business? How many years of experience do the employees have? Are the employees trained? Do they really care about the community? These all are the important factors, and can also help you in deciding whether the team is the right choice for you or not. Network- You never know who may know someone who knows someone. Whether you’re looking for extra hands to help pack or really can’t seem to find the right company to take care of you and your possessions during your move, you can bet someone in your network will be able to help you out in some way. Be picky- When deciding upon a team of long distance movers, don’t be afraid to have standards. If a moving company doesn’t pass one of your requirements, don’t be afraid to explore other options. There is always going to be other moving professionals who will truly take care and meet each and every expectation, so you can remain as comfortable as possible during your whole move. Start your research one or two months before your actual move date. When giving yourself an appropriate amount of time, you will be able to effectively jump over any hurdles that may come up and you will truly know that you have chosen the right movers for your relocation. These can be easy and quick ways to ease the pain of moving just a bit.